A former pupil surveys Jurgen Moltmann's work, sketching out the personal, ecumenical and political background against which his books have been written. An invaluable guide to the work of the most important German-speaking Protestant theologian today. - Publisher Former pupil Geiko Muller-Fahrenholz, describes and explains the course of his former teacher's work. Jurgen Moltmann is presently at a point in his distinguished career when such a survey is both timely and possible. About "The Kingdom and the Power"
Former pupil Geiko Muller-Fahrenholz, describes and explains the course of his former teacher's work. 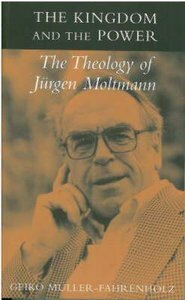 Jurgen Moltmann is presently at a point in his distinguished career when such a survey is both timely and possible. Geiko M]ller-Fahrenholz is a writer, lecturer, and ecumenical consultant. He has served on the World Council of Churches, acted as Director of the Protestant Academy of the Nordelbische Lutheran Church, and been a professor in Costa Rica. His various works include God's Spirit: Transforming a World in Crisis and The Art of Forgiveness.